After a two-year medical mystery tour, this teen took control of her nutrition and her health—and found the hope she’d been longing for. Jenna Tatavitto sits in the living room of her family’s Lagrangeville, New York, home on a Tuesday afternoon in December, recounting the long, strange year it’s been. The 14-year-old has spent most of the fall in this room—doing schoolwork, reading Shakespeare, and learning crochet (she’s teaching herself). But, truth be told, she’d rather be just about anywhere else—like back at her favorite dance studio, or in a classroom, or especially the frozen yogurt shop down the block from her school, where she and her friends would congregate after the day’s last bell. The nasojejunal (NJ) tube inside Jenna’s nose, which has supplied her with a nonstop stream of nutrition since May, makes it difficult to visit such places with much regularity. While she’s hardly a hermit—she can easily fit her feeding tube inside a backpack when she participates in a weekly recreation program, or when she sits in on her little sister’s twirling practices and passes on pointers—most of her interactions occur on social media these days. But if Jenna occasionally gets a little stir crazy in her house, it definitely beats the dozens of hospital rooms she called home for months last spring and summer, where she restlessly wondered what was causing her pain in every part of her body while a rotating cast of doctors scrambled to solve the same puzzle. Now that she thinks she’s found the cause—and the cure—of her myriad ills, Jenna can afford to spend a few more weeks holed up at the Tatavitto headquarters if it means an eventual return to normalcy. Not that Valerie and her husband didn’t try to staunch the barfing. They cut gluten from Jenna’s diet after doctors diagnosed her with a class-2 wheat sensitivity at age 7, and removed dairy a few years after that. Both moves provided temporary relief, but Jenna’s peculiar stomach problems ultimately persisted. Meanwhile, she was dealing with another unrelated chronic pain. “Jenna’s been complaining about her ankles since she was about six years old,” Valerie says. Initially, this didn’t raise as many red flags; after all, as a competitive ballet dancer, Jenna has spent most of her life pulling off dazzlingly difficult feats on her feet. So it seemed natural for the dancer to occasionally experience some soreness following especially tough rehearsals and recitals. 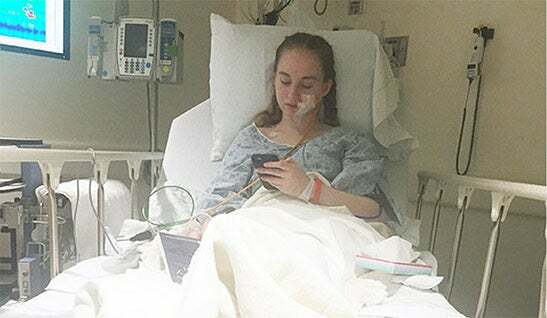 As a week of missing school turned into weeks, and weeks turned into months, Jenna couldn’t kick her cold, which had taken the form of “every virus and infection—you name it,” she says. Jenna and Valerie spent most nights that winter at their local after-hours pediatric care center, and when the clinic stopped taking their insurance, they moved onto regular emergency room trips. 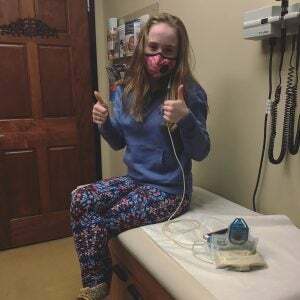 Jenna’s nausea and vomiting had gotten worse, and rounds of invasive tests led to a few unsatisfying diagnoses: laryngomalacia (floppy vocal cords) and exercise-induced asthma. Doctors prescribed an inhaler and sent her on her way. Jenna was deemed well enough to return to school and ballet that spring. “But as the months went on, I still felt sick, and I ate less and less because I wasn’t hungry.” By the summer, her ankle pain roared back to the point where she could barely walk, and by the fall, “my whole right foot was purple and swollen,” leaving her unable to dance. But just when her body and life had never felt more confusing, an orthopedist delivered the first crucial piece of clarity. Turns out Jenna had been born with os trigonum—a pesky extra bone secretly lodged behind each of her ankles. “Suddenly, it explained why I had always felt this pain, even without any fractures or sprains,” she says. Docs took care of the first bonus bone in an easy 16-minute surgery last February, and Jenna was up and walking with a boot four weeks after the operation, two ahead of schedule. “I thought she was finally going to get back on with her life,” says Valerie. On March 31, Jenna had surgery to remove the second trigonum, anticipating another easy recovery. But life had other plans. On April 6, she began vomiting again—this time in response to virtually everything she ate and drank. “I couldn’t even take a sip of water without throwing up,” she says. Needless to say, the family quickly made a doc swap. Meanwhile, Jenna was placed on the NJ tube three weeks into her hospital stay. 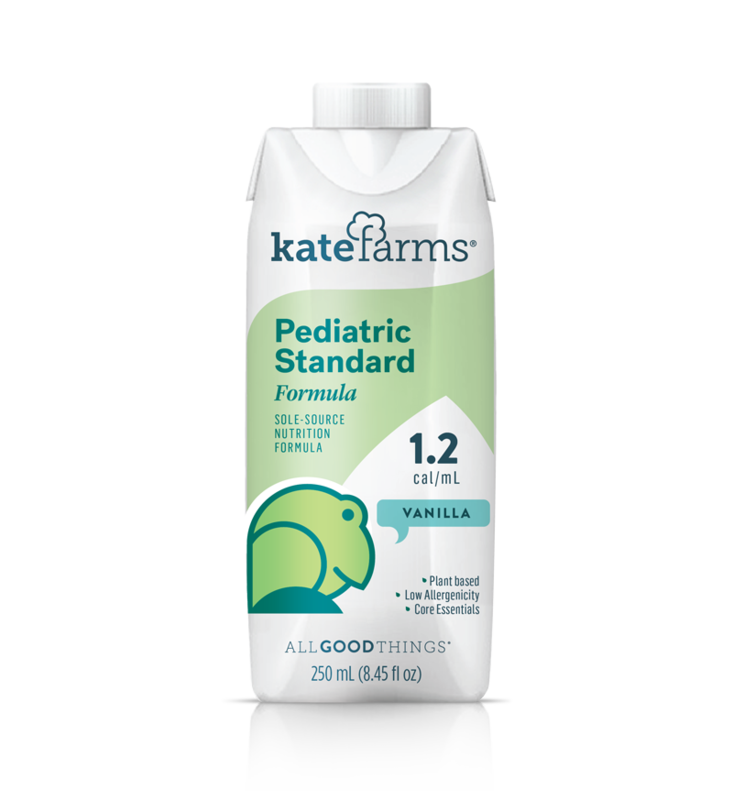 At first, she gained back a few pounds, but there was a bigger problem: Her predigested, milk-based formula triggered all sorts of symptoms—mainly because Jenna was allergic to milk. By May, it became clear to Jenna that she would have to stay on the NJ tube until her doctors came up with a definitive diagnosis. So she decided to study up on nutrition. “We couldn’t keep living like I was getting off the tube tomorrow,” she says. 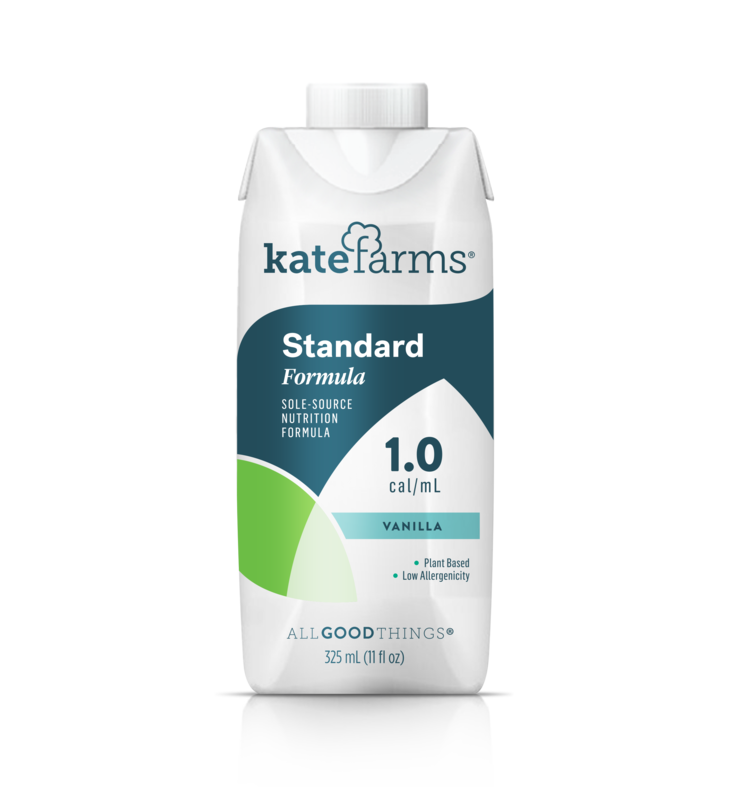 “It was time to make the changes that I needed for my body.” Enter Kate Farms. With the right nutrition regimen in place and Jenna feeling the best she had in months, it was time to clear the last hurdle. Her mission? Figure out how to get healthy—for good. A funny thing happens when you have a ton of time to kill in your hospital bed and on your couch, waiting for doctors to come up with your cure: You start hunting for it yourself. All that research made Jenna smarter—and it just might make her better. 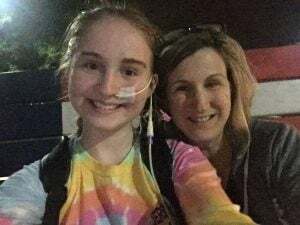 Earlier this fall, Valerie took Jenna to Weill Cornell Medicine in New York City, where a doctor gave them a long list of potential treatments for her chronic issues. He asked them to wait 48 hours while he narrowed them down and devised a plan. In the meantime, Jenna poured over the list and studied up as well. She paid close attention to one treatment associated with a mouthful of a malady: median articulate ligament syndrome (MALS), a complicated, congenital predisposition where your diaphragm sits too low in your body, and the ligament that connects your diaphragm to your spine compresses the artery that sends blood to much of your digestive system. That ligament also irritates a nearby nerve bundle, causing vomiting, nausea, and abdominal pain after eating, leading to weight loss. To Jenna, the symptoms sounded frighteningly familiar. Sure enough, the doctor came back with a vascular abdominal ultrasound recommendation, which matched up with MALS. Several tests confirmed the diagnosis, and Jenna was told she’s a candidate for the open-chest surgery in which docs would lift her diaphragm, resect her nerves, and help her reclaim her life. “I don’t know what I’m more excited about: that there’s an answer or that there’s a fix,” she tells us in early December, three weeks before the surgery. Jenna on the day of her surgery. But whenever Jenna gets emotional, she remembers the advice her therapist—and her mom—have given her to deal with these moments. “I break down when I need to,” she says. “I’m allowed to freak out for 20 minutes, and then it’s over. It’s time to move on. They told me I can go there—to the place where I can scream, cry, and get sad—but I can’t stay there. I have to come back.” And she always does. As for her beloved ballet, which she hasn’t been able to practice in more than a year, Jenna hopes to put on her pointe shoes again soon. “I miss it like crazy,” she says. “I miss always having to try for something more.” Beyond dancing, she has much grander plans for the future.